Flowers have an uncanny way of brightening smiles and uplifting spirits. When you receive a bouquet, it not only makes your whole day, but reminds you of someone’s thoughtfulness every time you see it. Sadly, no flower lasts forever, regardless of how fresh it was when it arrived. At some point in time, Mother Nature will cause its petals to drop. The good news is that there are several ways to preserve your bouquet, so you’ll always have a reminder of the original flower delivery. Here’s a look at four crafty and simple ways to do it. Pressing flowers is so easy to do that most of us tried it at least once in childhood. All you need is a heavy and flat object, like encyclopaedias, and some parchment paper. Lay the parchment paper on one of the books and then arrange the flowers on top of it in a way that they are not touching. Layer a second sheet of parchment paper, and then another book, on top and let it sit for a week or so. The pressed flowers can be used in a number of ways, such as for designing custom greeting cards, jewellery, and decoupage. Hang-drying takes a bit longer, but it preserves the shape of rosebuds nicely and can give other types of dried flowers look as if they’re just opening. It’s best to choose a location that doesn’t get sunlight, so the flowers retain more colour. All you need to do is hang the flowers upside down with space between them for air to circulate. Hang-dried flowers look beautiful left upside down as art for rustic designs and can also be arranged nicely in a shadow box. We’ve all seen those little packets of silica gel in new handbags, shoes, and other goods. The stuff inside them zaps out moisture and it can do the same for your bouquet. However, you need a lot more than a few packets to preserve your flowers. You can pick up large bags of it from craft stores and you’ll probably need about ten pounds to do a bouquet. With silica gel, you’ll need to layer a small amount of it in a sealable plastic container and set the flowers inside. Usually, people trim off the stems and place the only buds upright in the container. The lovely thing about this method is that you can preserve the buds in almost any shape, by gently packing the silica gel around them, and the colours remain rich as well. If you plan to use yours for crafting, you may want to place wires in the bases of the blooms before drying, but otherwise, they’re good to go after about a week of submersion. A coat of clear glaze paint gently sprayed on fragile blooms can do a world of wonder. It protects delicate white dandelions (the kinds that kids blow on to spread the seeds everywhere), ferns, and more. You can also use it as a protective coating on your pressed flowers. The trick to making it work is to do several very light coats at a distance, so the paint settles onto the blooms. 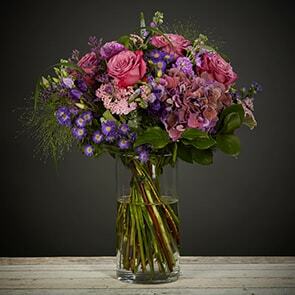 Of course, the best way to have beautifully preserved flowers is to start with a gorgeous fresh bouquet. 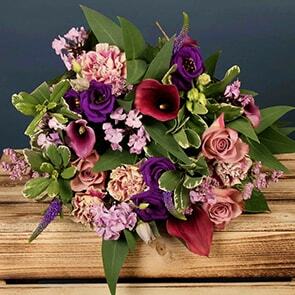 At Bloom Magic, this is what we specialize in; quality flowers from top-notch local florists. 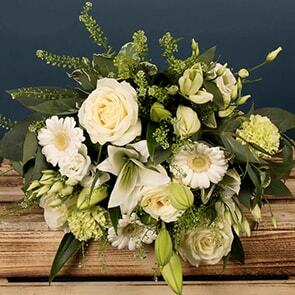 Browse through our online flowers catalogue and choose just the right bouquet today. A piece of eritodiun unlike any other!